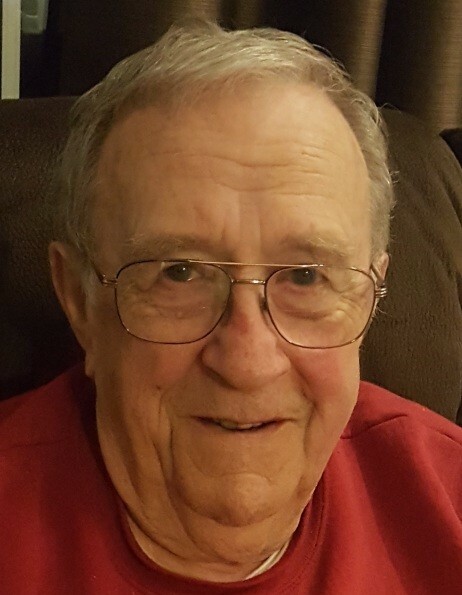 COLUMBIANA – Richard J. Janci, 81, of Columbiana, passed away Thursday morning, June 28, 2018 at Cleveland Clinic surrounded by his family. Richard was born on November 22, 1936, in Youngstown, a son of Michael and Helen (Maciejewski) Janci. A 1954 Woodrow Wilson High School graduate lettering in football and basketball, Richard worked at Sears for many years, then managed Cable’s Valu King, and then Penn Sparkle market. He also served in the US Army from 1955 to 1961, where he played for the Army basketball team. A family oriented man, Richard rarely missed one of his grandchildren’s games. He was active in St. Ann’s parish in East Liverpool, and would volunteer at the rescue mission and shelter for 30 years. An avid game show watcher, he loved going to Heck’s restaurant to listen to his buddy from high school “Little Joe” play music. He will be missed by all who knew him. He is survived by his children; three sons Leonard Janci and his wife Joyce of Newell, WV, John Janci and his wife Michele of Leetonia, and David Janci and Christine Groves of Youngstown; two daughters Lynne Pittman and her husband John of Youngstown and Sherry Halt and her husband Carl of Columbiana; 11 grandchildren Lindsay Herrick, Kerry Forbes, Carl Halt, Chris Halt, Lyndsay Stryffeler, Leah Janci, Luke Janci, Ava Janci, Michelle Donnelly, Shannon Hendricks, and Jason Gillespie, and ten great grandchildren Jonah, Noah, Jaxson, Seth, Ethan, Parker, Isabella, Nathan, Dylan, and Hannah, and a sister, Jo Ann (Janci) Veauthier and her husband, Nick, of North Lima. Richard was preceded in death by his parents, his brother Michael and his ex-wife Sally Janci. Funeral services will be held on Monday, July 2, 2018 at 5 pm at Seederly-Mong & Beck Funeral Home, 154 S. Elm Street, Columbiana with Father Edward Noga officiating. The family will receive friends on Monday July 2 from 3 pm to 5 pm at the funeral home. Military honors will be accorded by American Legion Post 290 following the service. In lieu of flowers, the family requested donations may be made in Richard’s memory to the Myasthenia Gravis Foundation of America, 355 Lexington Avenue, 15th Floor, New York, NY 10017 or the DAV – Disabled American Veterans, P.O. Box 14301, Cincinnati, OH 45250-0301. The family has entrusted Seederly-Mong & Beck Funeral Home in Columbiana, Ohio with the arrangements for their loved one.